What are the top transactions for 2015 in the Boulder Valley and Northern Colorado? BizWest’s inaugural “Deals of the Year” for 2015 run the gamut from burgeoning apartment complexes and health-care facilities to a redeveloped mall, a new football stadium and a toy that would feel more at home on a distant planet. Nominations were evaluated by the BizWest editorial team, with consideration given to impact, complexity and size of the deal, both in terms of dollar volume and, when appropriate, square footage. Deals could include mergers, acquisitions, construction projects, leases, sales, venture-capital funding and expansions. Bell Partners Inc. of Greensboro, N.C., in April purchased the Horizons at Rock Creek apartment complex in Superior, one of the largest multifamily communities in the Denver metro area. Bell Partners bought the 1,206-unit complex from Denver-based Simpson Housing LLLP for $250 million and renamed it Bell Flatirons. The complex, at 2200 S. Tyler Drive, was built in multiple phases between 1997 and 1999 by Simpson Housing. It is made up of three phases: Watters Edge, Prairie’s End and Cross Creek. Watters Edge has 586 units of mostly townhomes and apartments with one- and two-car attached garages. Prairie’s End has 360 units, and Cross Creek has 260 units, each with its own garage. 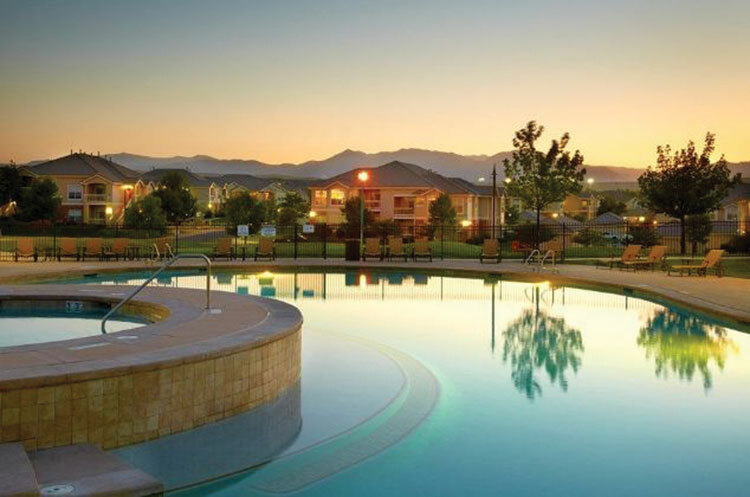 • Retreat at Flatirons, Broomfield: Invesco Real Estate, a division of Atlanta-based Invesco Ltd. (NYSE: IVZ), in April bought the 374-unit Retreat at the Flatirons under the entity Flatirons Apartments LLC for $94.5 million from Denver-based Etkin Johnson Real Estate Partners. • The Province, Boulder: Memphis, Tenn.-based EDR (NYSE: EDR), formerly known as Education Realty Trust, bought The Province student-housing complex in Boulder in September for $48.8 million, or nearly $581,000 per unit, from Ohio-based Edwards Student Housing Management Co.
Two Boulder-based credit unions — Premier Members Federal Credit Union and Boulder Valley Credit Union — merged in May, creating a financial institution with $820 million in assets. The new organization eventually will operate as Premier Members Credit Union and use Boulder Valley Credit Union’s state charter. The credit unions will operate under their current names until account, service, and system integration is completed in May. Staffs at both credit unions, approximately 185 full-time workers and 25 part timers, were retained. The combined organization will have assets of approximately $820 million, about 65,000 members and 17 branches in Boulder, Louisville, Longmont, Firestone, Arvada, Westminster, Greenwood Village and Estes Park. • Foundry Group, Boulder: Boulder-based venture-capital firm Foundry Group in July closed its fifth $225 million investment fund, Foundry Venture Capital 2016 LP. • Boulder Ventures, Boulder: Boulder Ventures Ltd. in late April completed raising its sixth investment fund, worth $61 million, bringing the total raised during the past 20 years to $371 million. 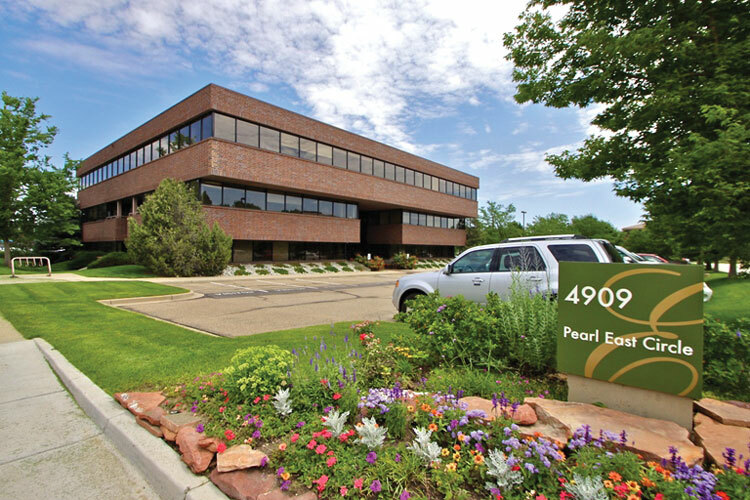 Seattle-based real estate investment company Unico Properties LLC in January paid approximately $209 million to Boulder-based W.W. Reynolds for 1.5 million square feet of commercial property in Boulder and Fort Collins. Public records show that Unico paid Boulder-based W.W. Reynolds approximately $41 million for 24 commercial properties totaling 507,005 square feet in the Prospect East Business Park in Fort Collins and $168 million for 27 buildings totaling 1 million square feet of property in Boulder through 13 transactions. According to Boulder County property records, various affiliates of Unico were used in a series of 13 transactions recorded Jan. 29 for properties in Boulder. • Boulder Community Health Campus, Boulder: The city of Boulder formally closed in December on the $40 million purchase of the 8.8-acre Boulder Community Health campus at the southwest corner of Balsam Avenue and Broadway. The city has identified the site as a key redevelopment opportunity. • S’PARK, Boulder: Real estate investment firm Kinship Capital and investment firm/developer The John Buck Co., both based in Chicago, formed a new joint venture with current S’PARK developer Element Properties of Boulder and in late December paid a combined $18.5 million for the redevelopment of the former Sutherland’s lumber yard site at 3390 Valmont Road in Boulder. Culminating a years-long planning process that sparked bitter divisions in the community and even among its faculty and students, Colorado State University broke ground in Fort Collins in September for a 36,000-seat on-campus football stadium including a separately financed $18 million addition for academic space and an alumni center. The stadium is slated to open for the 2017 season, replacing aging Hughes Stadium west of the campus. 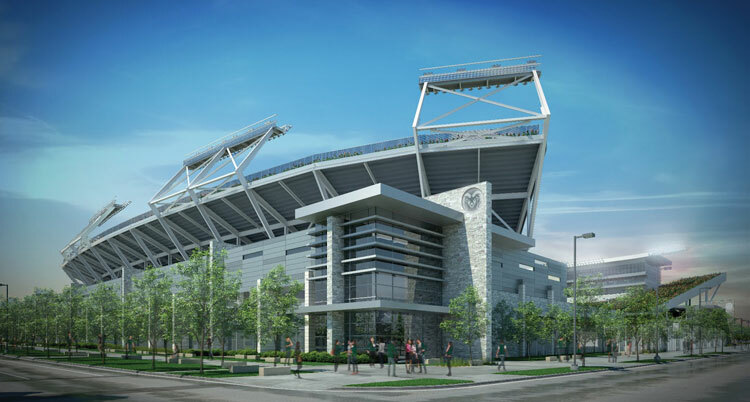 After a private fund drive failed to garner even one fourth of its $110 million goal for the project, CSU’s Board of Governors approved selling $242 million in bonds to pay for the stadium; including principal and interest, the total cost over 40 years will be $451 million. General contractor Mortenson Construction gave CSU a price guarantee for the $220 million cost of the athletic portion of the facility to shield the university from cost overruns. • Google, Boulder: A groundbreaking ceremony was held Aug. 4 for Phase 1 of a new 300,000-square-foot campus for Google Inc. (Nasdaq: GOOG) near the intersection of 30th and Pearl streets in Boulder. • Hotels and offices, Boulder: Ground was broken in April at the site of the former Golden Buff Hotel and Eads Newsstand on the northwest corner of 28th Street and Canyon Boulevard in Boulder for a 203-room Embassy Suites hotel, a 172-room Hilton Garden Inn and a 42,000-square-foot office building, as part of a redevelopment spearheaded by Denver-based NAI Shames Makovsky and Boulder developer Lou DellaCava’s LJD Enterprises. The year 2015 was significant in a years-long economic-development project involving Fort Collins-based Woodward Inc.(Nasdaq: WWD). 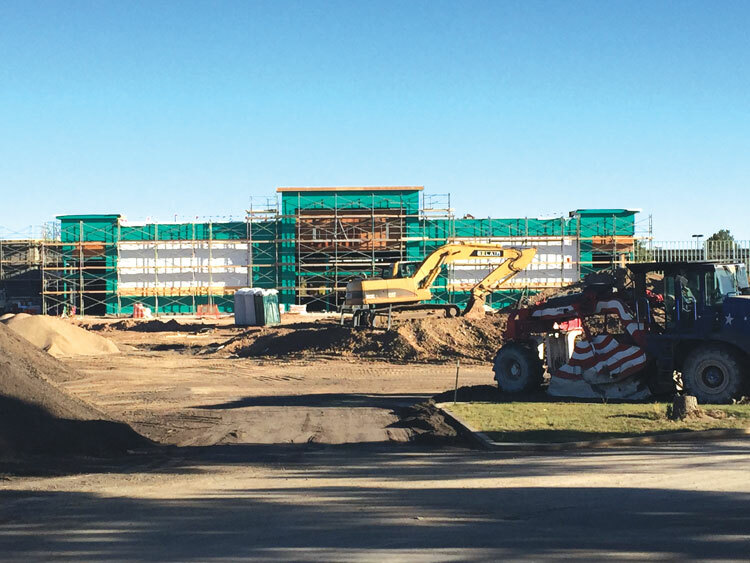 The City Council in May approved $2.1 million in rebates of use tax and development fees for Woodward’s new headquarters, and construction was largely completed. Woodward manufactures energy-control systems for aircraft engines, industrial engines and turbines. The company has been a longtime contributor to the Northern Colorado economy — with about 1,400 employees in Fort Collins, Loveland and Windsor, but that presence was solidified with its 2013 announcement that it would build a new $250 million, 101-acre headquarters campus on the former site of the Link-N-Greens golf course between Lincoln Avenue and East Mulberry Street. Woodward is owed $3.5 million in rebates under terms of a 2013 agreement with the city, with the balance being withheld until the site reaches 1,400 employees. • Northern Colorado Economic Alliance: The 15-year-old Northern Colorado Economic Development Corp. turned over its resources to the recently established, privately funded Northern Colorado Economic Alliance, which focuses on Larimer and Weld counties. • Enterprise-zone expansion: The Colorado Economic Development Commission in August added large areas in Larimer and Weld counties — as well as significant portions of Longmont, Broomfield and Lafayette — to its designated list of “Enterprise Zones” that enable businesses located there to qualify for a wide range of tax credits. One of the world’s largest meat-processing companies got a lot bigger in 2015, with Greeley-based JBS USA’s $1.45 billion purchase of Cargill Inc.’s U.S.-based pork business. The deal, announced in July, closed in October. JBS raised $1.2 billion in long-term financing from a consortium of lenders to help finance the deal, with the balance paid with cash on hand. 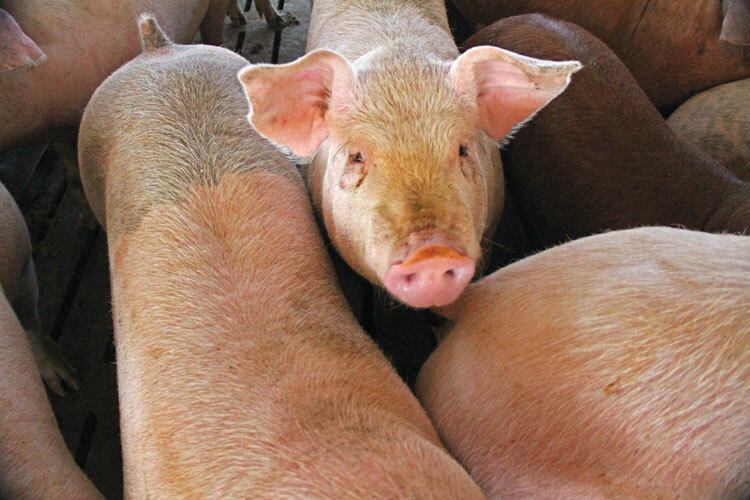 JBS acquired two Midwest pork-processing plants from Wichita, Kan.-based Cargill, including facilities in Ottumwa, Iowa, and Beardstown, Ill. JBS also acquired five feed mills in Arkansas, Iowa, Missouri and Texas, and four hog farms in Arkansas, Oklahoma and Texas. The deal makes JBS the second-largest pork processor in the country, after Smithfield Foods Inc. The company controls about 22 percent of U.S. beef production and 18 percent of U.S. poultry production, second in both sectors to Tyson Foods Inc. JBS USA is a wholly owned subsidiary of JBS S.A., based in Brazil. • Anheuser-Busch-Inbev/American Eagle Distributing, Loveland: Belgium-based Anheuser-Busch-Inbev in August purchased Loveland-based American Eagle Distributing. • Left Hand Brewing/Odell Brewing, Longmont and Fort Collins: Longmont-based Left Hand Brewing and Fort Collins-based Odell Brewing in July said they were moving forward with plans for employee ownership. University of Colorado Health’s footprint in the Boulder Valley and Northern Colorado ballooned drastically in 2015. The organization broke ground late in the year on a new $190 million hospital in Longmont that will include 53 inpatient beds and bring a variety of new services the city has been lacking. That followed the groundbreaking on a $102 million expansion at Poudre Valley Hospital in Fort Collins and the opening of a $12.3 million standalone emergency center in that city. The company also has contributed $5 million toward a new $59 million on-campus medical center being built at Colorado State University. That’s not to mention a major deal of undisclosed value with Texas-based Adeptus Health that includes partnering on a new 22-bed hospital in Broomfield and buying a majority stake in Adeptus Health’s 15 First Choice Emergency Room centers in Colorado. Renamed UCHealth ER, a 16th is being built in Longmont. The Broomfield hospital is to open this year, while the Poudre Valley expansion and Longmont hospital are expected to open in the first half of next year. • Banner Health, Fort Collins: The health system opened a new $89 million, 22-bed hospital in Fort Collins. • Centura Health/Longmont United, Longmont: The pair inked a long-term affiliation deal through which Centura will operate and manage LUH in exchange for an undisclosed amount of capital and resources. The Colorado Economic Development Commission in December approved $86.1 million requested by the nonprofit Go NoCO to help developers shrink a funding gap and build the PeliGrande Resort and Conference Center in Windsor, The Indoor Waterpark Resort of the Rockies and the U.S. Whitewater Adventure Park in Loveland, and the Stanley Hotel Auditorium and Film Center in Estes Park. 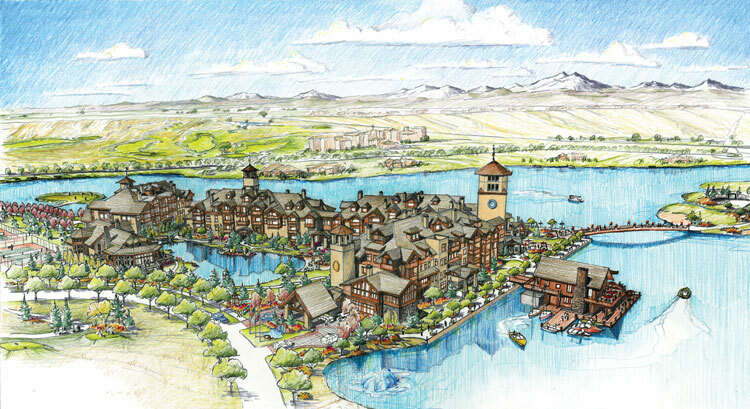 The four Northern Colorado projects will cost an estimated $334 million to develop. Go NoCO applied for the Regional Tourism Act funding to try to help developers shrink a funding gap. Passed in 2009, that act allows the rebating of state sales-tax revenue that new, out-of-state visitors would generate in a predetermined tourism zone. Go NoCO, a nonprofit created by government entities and private businesses in Northern Colorado, applied for the funding. • Vail Resorts, Broomfield: Broomfield-based Vail Resorts Management Co. (NYSE MTN) continued its pattern of aggressive acquisition, acquiring Australia’s Perisher Ski Resort for $135 million. • CSU/Stock Show, Denver: The Colorado Senate in April approved a $350 million plan to put Colorado State University buildings at the National Western Stock Show site in Denver. Hundreds of new high-paying jobs have blown into Northern Colorado, thanks to expansions by Danish wind-turbine manufacturer Vestas Wind Systems A/S (CPS: VWS) in Windsor and Brighton. Vestas in March announced plans to hire an additional 400 workers in Windsor, including 300 full-time and 100 part-time and seasonal workers. In August, the company said it would hire 350 more workers in Windsor and Brighton. The company also announced plans for another 100 jobs in Brighton in January 2016. 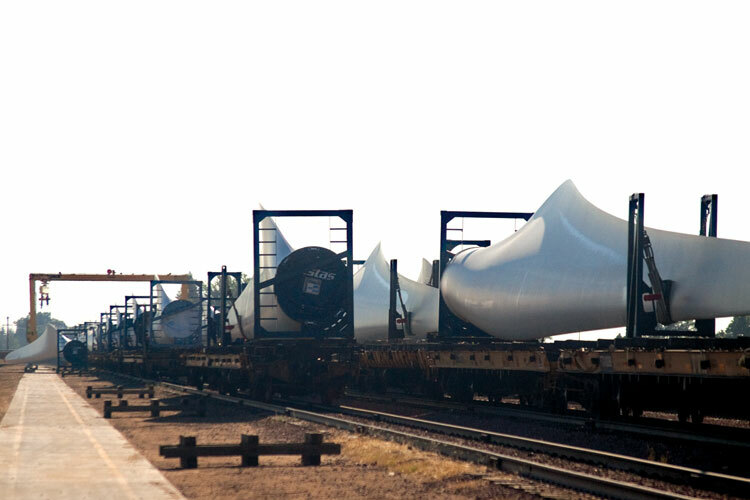 Vestas operates one plant in Windsor, where it produces blades; two plants in Brighton, where it produces blades and nacelles; and a plant in Pueblo, where it manufactures towers. Vestas now employs about 3,200 workers in Colorado, with more than two-thirds of them in Windsor and Brighton. The company has been expanding for several years, bringing jobs that can pay $16.95 per hour. Read the original stories here and here. • Teletech Holdings Inc., Greeley: Englewood-based Teletech Holdings Inc. (Nasdaq: TTEC) said in August that it wanted to fill 600 new jobs at its call center in Greeley, which would bring its employee count to 1,300. • SCL Health, Broomfield: SCL Health. which operates eight hospitals in Colorado, Kansas and Montana, in July finished moving some 360 employees from the Diamond Hill office complex in downtown Denver to the Interlocken business park in Broomfield. A tumultuous 2015 for Boulder Brands culminated with the November announcement that New Jersey-based Pinnacle Foods had struck a deal to buy the local company for $710 million. That deal just closed in January, rescuing a homegrown Boulder company that had seen its stock price plummet in 2015, a change in chief executive, layoffs and a series of class-action lawsuits brought against the company that remain pending. Boulder Brands, whose brands include Udi’s Gluten Free, Smart Balance and Evol Foods, now will be rolled into Pinnacle Foods. However, Pinnacle Foods officials have said they plan to maintain Boulder Brands’ presence in Boulder, which includes most of the former company’s roughly 1,000 employees. • Meyer Natural Foods, Loveland: The Loveland producer of natural-beef products bought land in Loveland where it plans to build a new corporate headquarters. • WhiteWave Foods Co., Broomfield: WhiteWave (NYSE: WWAV), parent company of several organic food brands, which has a major presence in Broomfield, paid $550 million to acquire Vega and inked a deal to buy Wallaby Yogurt Co. Inc., for $125 million. Twenty-three stores and seasonal kiosks were open for business Nov. 13 when Foothills, the Fort Collins shopping center that underwent a $313 million redevelopment project, held a holiday tree-lighting and other festivities. More openings were announced periodically as the year ended. Workers scrambled to finish the 668,724-square-foot project on the 77-acre Midtown site by the start of the holiday shopping season after Dallas-based general contractor Beck Group lost nearly two months of excavation because of rain. The redevelopment includes 365,321 square feet of retail space in the enclosed mall, 278,744 square feet of detached retail space and the three-level, 24,659-square-foot Foothills Activity Center which replaces the old Youth Activity Center that had been at the corner of Monroe and Stanford drives. Loveland-based development firm McWhinney filed plans with the city of Fort Collins to build 400 apartments as part of the redevelopment, up from the 256 apartments McWhinney said it would build earlier. • Village at the Peaks, Longmont: Tenants began opening their doors in November at Village at the Peaks in Longmont, the redeveloped Twin Peaks Mall, but Whole Foods announced in December that its opening would be delayed 11 months. • Sheels, Johnstown: A 250,000-square-foot Sheels sporting goods store in the 2534 development in Johnstown is expected to employ roughly 400 people when it opens in September 2017. • Players: NetApp Inc., Sunnyvale, Calif., buyer; SolidFire Inc., Boulder, seller. Advisers: DLA Piper, legal counsel to NetApp; Qatalyst Partners, financial adviser to SolidFire; Cooley LLP, legal counsel to SolidFire. Pegged by many as one of Colorado’s next major candidates for an initial public offering, SolidFire instead struck a deal just before Christmas to be acquired by NetApp for $870 million in cash. 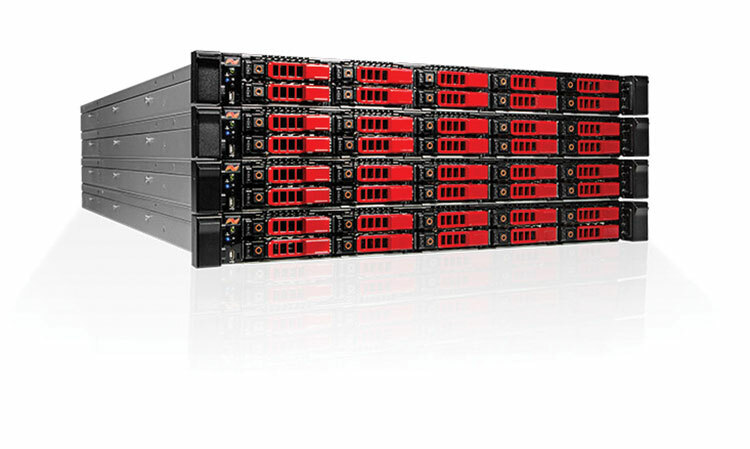 The purchase would give storage provider NetApp a strong foothold in the growing flash-storage market. 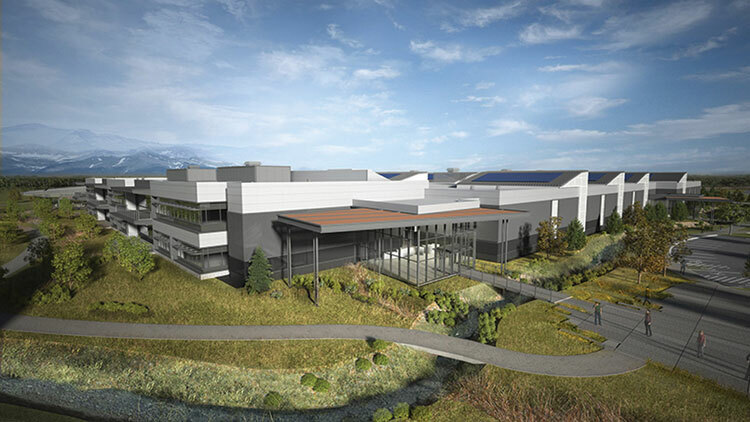 SolidFire, which has about 250 employees in Boulder, previously announced that it would lease 62,000 square feet in downtown Boulder’s new Pearl West development that is under construction, a plan that remains intact. However, it remains to be seen how NetApp’s current Boulder office might be integrated with SolidFire’s operations. The acquisition is slated to close by May, the end of NetApp’s 2016 fiscal year. • Seagate/Dot Hill, Longmont: Cupertino, Calif.-based data-storage firm Seagate Technology Inc. (Nasdaq: STX), which has a major presence in Longmont already, acquired Longmont-based Dot Hill Systems Corp. for $645 million. • CA Technologies/Rally Software: New York-based software firm CA Technologies (Nasdaq: CA) acquired Boulder-based Rally Software Development Corp., for $480 million. 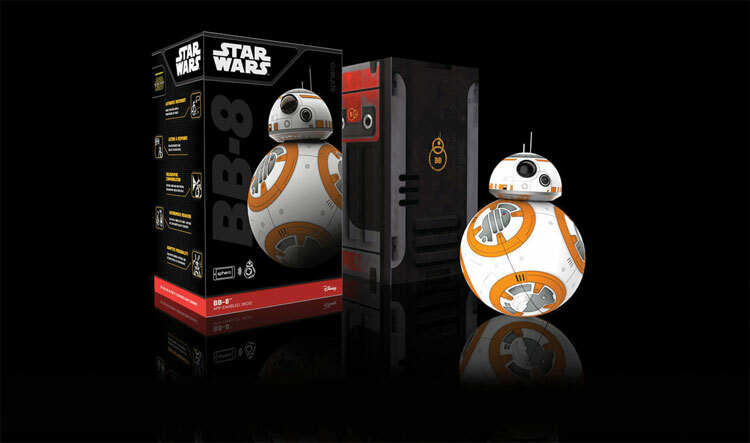 • Players: Spero Inc., Mercato Partners, The Walt Disney Co.
Sphero and The Walt Disney Co. struck a deal last year for Sphero to produce the BB-8 toy. That deal emerged from connections Sphero made while participating in Disney’s tech accelerator program in 2014. The Star Wars deal also prompted the company to head to the capital markets again, raising $45 million from Mercato Partners, Disney and others.